Still struggle for creating a realistic image or convert 3D model into 2D view? 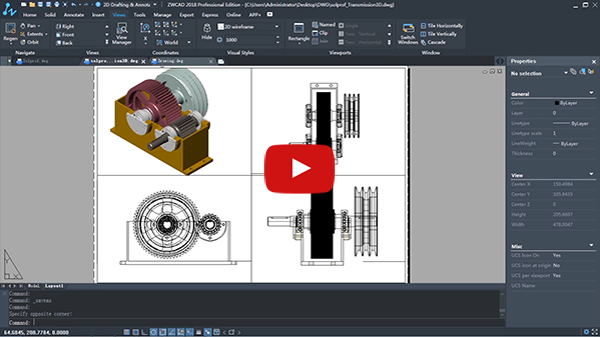 With the powerful 2D/3D drafting, modeling and rendering offered by ZWCAD 2018, whatever you imagine could be created! How to make the 3D model look from an eye view? How to define parallel projection or perspective view for a 3D model? 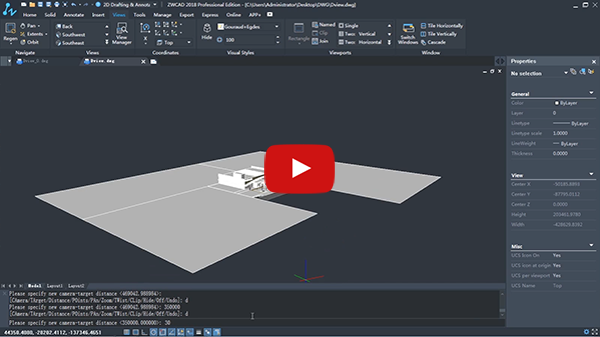 Dview feature creates perspective view without making any change to the model! Want a 2D sheet for a 3D model but cost too much time? Is it possible to create a 2D profile of 3D model quickly? Solprof command helps you create 2D representation with a few clicks! Want a really great photorealistic rendering for your model? 3D rendering software need extra money while your don’t have budget? 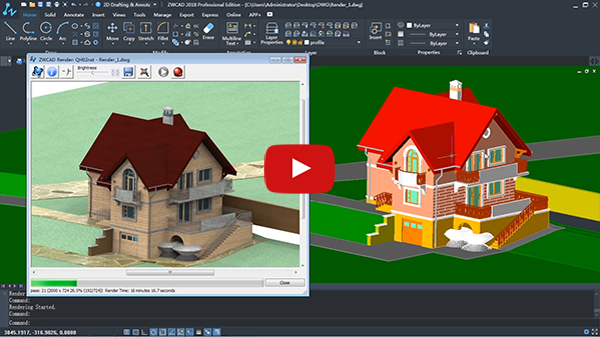 Take ZWCAD, integrated with excellent 3D rendering plug-in, and it’s free! More videos would be showed in the coming days, stay tuned! By the way, if you want to know more about ZWCAD and download for trial, please don’t hesitate to click the below button!